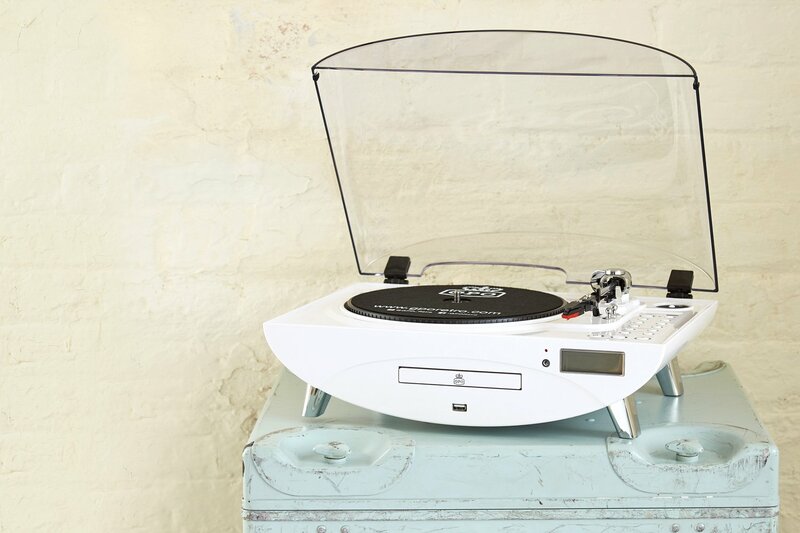 The GPO Jive Record Player has a clean, White, crisp style this stunning turntable is for the keen music fan. Use the weighted arm with chrome detailing for perfect playback. With USB connectivity and a CD player, the unit has a remote control for ease and an equaliser enabling you to listen clearly and precisely to all genres of music. Available in a High Gloss Pearlescent White Finish.